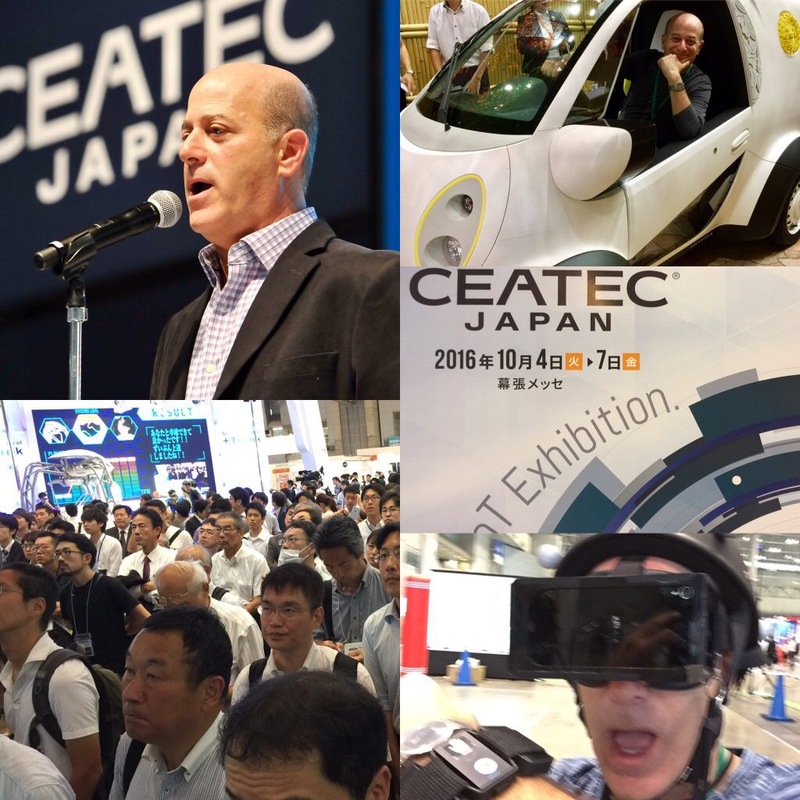 TV tech personality Steve Greenberg just returned from CEATEC in Japan. CEATEC (pronounced “C-Tech”) stands for the “Combined Exhibition of Advanced Technologies.” It is the Japanese equivalent of the Consumer Electronics Show in the U.S. or CeBIT in Europe. Steve was asked to attend the show so that he could be a member of the judging committee that identifies the most innovative products exhibited. Steve found some amazing new discoveries and talked about them with PR honcho Lois Whitman, in this edition of Lying on the Beach. Quite honestly, I never heard of the Combined Exhibition of Advanced Technologies (also known as CEATEC) annual trade show in Japan. It’s going on now. Japan says it’s their largest electronics trade show. The only reason I know something about it is because my fiend, Steve Greenberg, was asked to attend. He flew to Tokyo on Sunday. Robots seem to be the big attraction this year. Watch the videos for some miraculous introductions. Also click on this CNET link for a more in depth story. This is a great opportunity to see these products first.